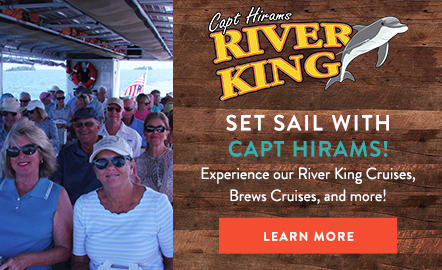 Giving back to our community by working with local nonprofits, hosting charitable events, and supporting causes we're passionate about is something we, at Capt Hirams Resort, are proud to do. Since opening in 1986, we have operated with the understanding that our community is stronger together. 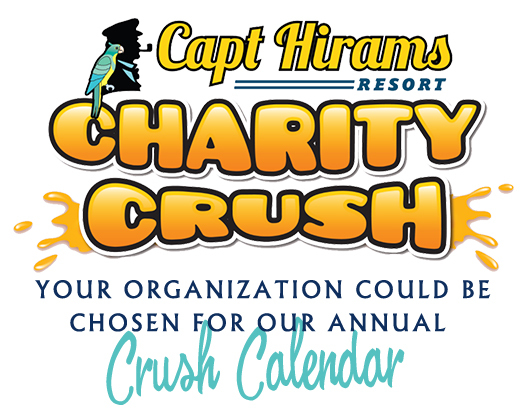 From cleaning our waterways, to fighting childhood cancer, to raising funds for those who keep us safe, Capt Hirams Resort is committed to crushing as many goals as possible! We are so happy to have rolled out our own community “give-back” effort we’re calling our Charity CRUSH Calendar, whereby, a local nonprofit or community organization is chosen to be our featured Charity of the month. And from each fresh-squeezed Indian River Citrus Capt's CRUSH we sell, $1 is given to that month’s featured organization. We consider all requests from 501c3 organizations that give back to our local community. Sebastian Police "Shop with a Cop"
For us to consider your donation request, please share the exciting details of your request with us! We review each and every request submitted and will never share your personal information with anyone not associated with Capt Hirams Resort. 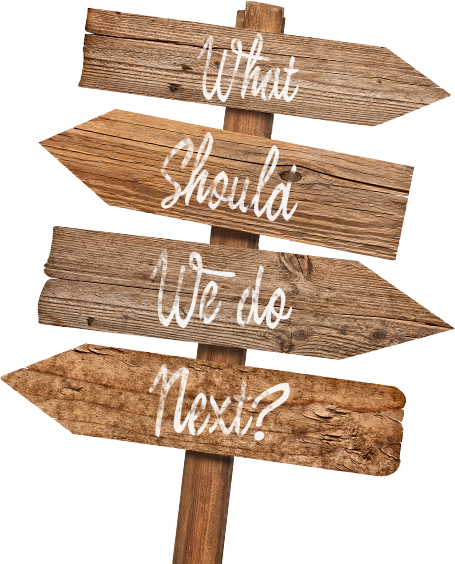 We do have causes that are near and dear to our hearts: Our Youth - Our River and its Surrounds- Community Assistance - Animals of all Kinds -Active and Retired Veterans. *We do not donate to political parties or affiliations of any kind.